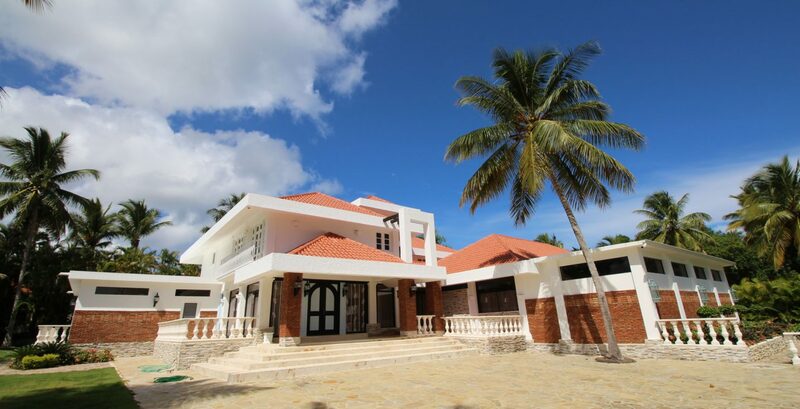 This Luxury Villa that we selected has 5 bedrooms….all with A/C and 6 bathrooms…..A fully equipped kitchen with all the best appliances wich makes cooking very easy. The huge living/diningroom with several TV`s and pool table turns waiting for your diner into a pleasure. Outside we have a big swimming pool with several covered terraces in a Tropical Garden.